Over the past few months, we’ve seen the Google Play Store go through various changes. Google has been taking user feedback into consideration to make the overall app discovery and installation experience more intuitive. Now, it seems to be testing another change in how the search results are delivered to the users. 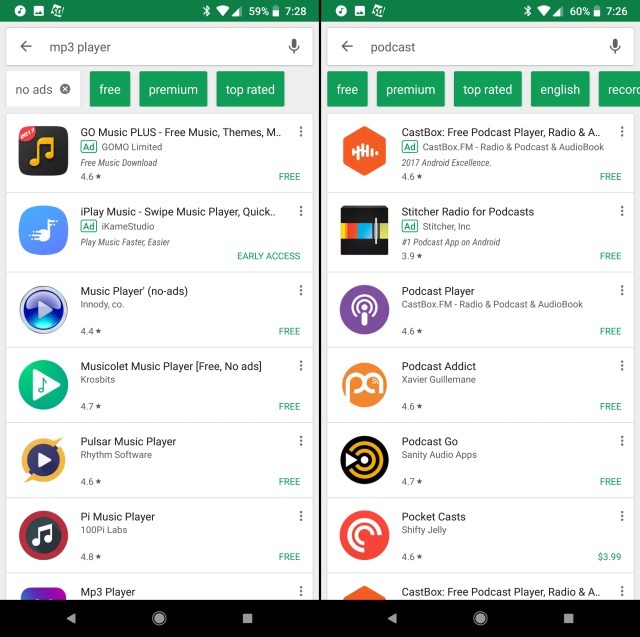 According to a source, several Android users have discovered that their Play Store search results now display ‘free’ and ‘premium’ suggestion tags under the search bar. You can tap on any of the two suggestions to filter out the search results on the basis of their pricing. It is highly possible that you’re on the lookout for a good music player app that’s available for free and this feature will help you do just that. Although Google is currently testing this feature on the Play Store, it appears to be quite inconsistent. There are times when the Play Store is able to narrow down your search result on the basis of the ‘free’ and ‘premium’ suggestion tags while it doesn’t even show any filters on other occasions. The users who reported these sightings have also seen ‘no ads’ and ‘top rated’ suggestion tags appear in their search results. 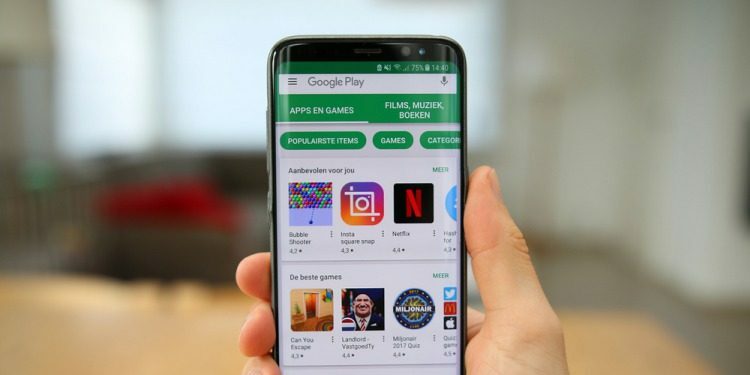 It is currently unknown when Google plans to roll out the search suggestion tags to all its Android users, they will surely make it easier for them to find the app that suits their need. Until now, it has been difficult to look for apps in the Play Store due to lack of any search filters. I feel these filters should’ve been added to the Play Store a really long time ago but Google now seems to understand the importance of such filters. It will flip a switch on the server-end to make it available to all users really soon. Do you agree with me? Let us know in the comments down below.